Mattituck/Southold celebrates winning the state Class D girls lacrosse title in Cortland on June 9, 2018. 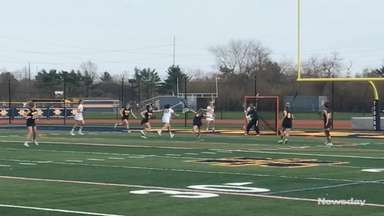 Chelsea Marlborough’s recollection of her first season on the Mattituck/Southold girls lacrosse team sums up just how far the program has come in a short time. The Tuckers were entering their third season in 2013 and, as Marlborough recalls, the team had trouble even stringing together passes at practice. That image stands in stark contrast to the scenes from this month, when Marlborough and her teammates celebrated after winning the state Class D championship. 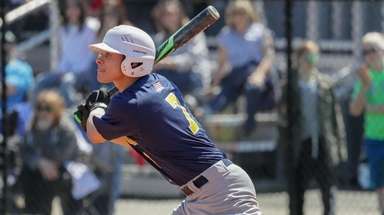 Mattituck/Southold won its first state title in the program’s eight-year history when it defeated Bronxville, 12-1, at SUNY-Cortland, capping the team’s second consecutive trip to the state tournament. The team won a single game in each of their first two seasons, before winning five in 2013. They won nine and made the playoffs in 2014, and picked up their first postseason win in 2015. 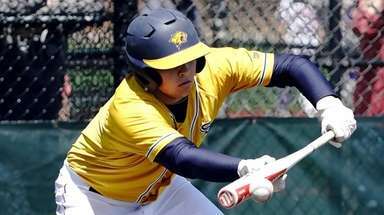 The Tuckers reached the Suffolk Class C semifinals in 2016 and earned a trip to Cortland last year after winning the Long Island Class D championship, before falling to Bronxville in the state semifinals. Marlborough said they were just happy to make the trip upstate last season, but were looking for more this year. The Tuckers certainly took care of business in Cortland. They defeated South Jefferson, 7-6, in the semifinals after Claudia Hoeg stopped a shot with two seconds left, setting up a dominant performance in the final by allowing just a goal to Bronxville. The offense was strong as well, putting up 14 goals in its county title win over Babylon and 16 more in the Long Island championship against Carle Place. Sisters Mackenzie Hoeg (51 goals and 32 assists) and Riley Hoeg (39 goals, 39 assists) led the way, along with Vasile-Cozzo, who had 20 goals and 44 assists. Mackenzie and Riley are Claudia’s cousins. 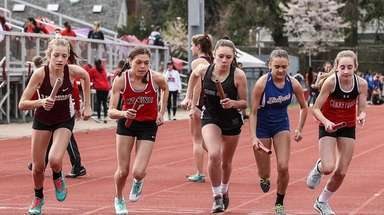 The performances culminated in an effort that sent the team’s seniors — Marlborough, Jane DiGregorio, Ashley Burns, Brianna Fox, Alex Talbot and Alex Beebe — out on top. 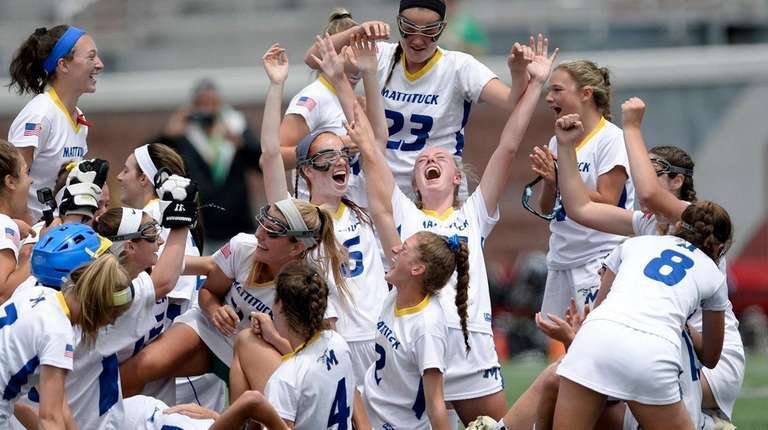 State Class D finals: Mattituck vs. BronxvilleMattituck-Southold defeated Bronxville, 12-1, on Saturday, to win the Class D state championship.